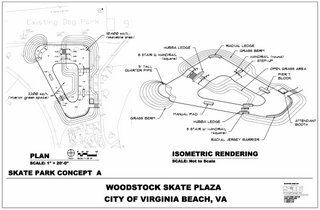 Brendan sent me a link to this article talking a bit about the upcoming Skate Plaza in Virginia Beach. I encourage all of you out there to comment on this article and show people how important skateboarding is to us. Also, check out this related article about the cops attempt to stop skateboarding at the memorial. what is the "attendant booth" for? are there "attendant booths" at the baketball, baseball or tennis courts? i read that article about the monument. i always feel badly skating a memorial, but the people in this town seem pretty set in their ways. they will spend all their bingo money to honor the dead, but won't give a cent to promote the future. God i hope im not like that when im old. all i can hope is that im still well enough to skate with my kids and smart enough to not cry over spilt milk. There is an attendant booth at Trashmore and almost all other Skate Parks I have been to (free or not). Not really a big deal. Don't piss the man off by skating the monument; it’s not even a good ride. Its funny (reading the comments on the story in the paper) how 3 months ago, when the park burnt down, the public was like "poor kids" but when they skate a monument its "these kids are a menace". 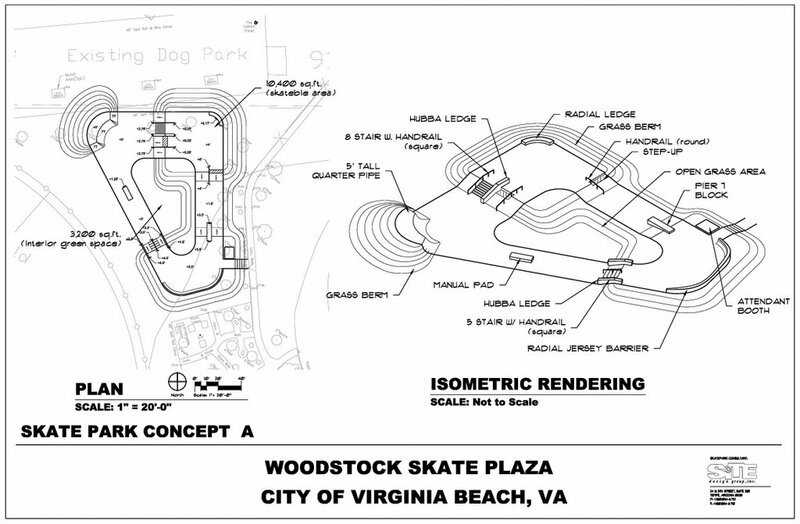 i think its kinda fucked up trying to make us stop skateboarindg and trying to make it illegal. its a sport. if you make our sport illegal sure better make other spots illegal. yeah skating a monument is messed up but what else are we going to skate? our park was burned down. I think it needs 3 pole jams, steep, medium & mellow. Also that attendant booth needs to go, If thats there it means there will be rules. I swear to god if you have to where a helmet, I don't care how good it is I'm never going there. When's Boston getting one of these?!?!?! ?